Time to bow down to women everywhere: Women's Day is on the way! There are two themes for the March 8 event this year. The UN theme is called "A promise is a promise: Time for action to end violence against women," and the International Women's Day 2013 theme is "The Gender Agenda: Gaining Momentum." But something extra special is planned for International Women's Day in four years. 2017 marks the 100th anniversary of the Russian Revolution. It all started with women in the streets, protesting chronic bread shortages, and culminated in the abdication of Tzar Nicholas II just a few days after Women's Day in 1917. In 2017 women everywhere will be celebrating their strength with reenactments and strikes. In fact, International Women's Day was started by the former Soviet block, and according to Liliya here at The Flower Pot, it is still one of the biggest holidays back home in Kazakhstan: apparently it's on par with Easter! Unfortunately, here in the West the event is not so prominent. Because we believe women are so important to our society, The Flower Pot wants to make Women's Day mainstream here too. 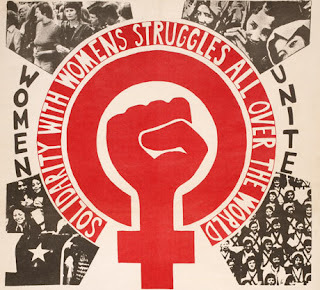 Originally the purpose of International Women's Day was to raise political and social awareness of women's struggles everywhere, and that is still the main goal today. But the event has also developed into a way to show your appreciation for the women in your life. You can participate by offering flowers to that special gal. She might be your mom, your sister, your aunt, your grandma, your wife, or a valued friend. Get her a bouquet of beautiful tulips from our Women's Day section!